More than 570 RMIT Vietnam students and staff attended the 2016 Wellbeing Day and learned how to be healthy through a proper diet, regular exercise, mindfulness, and generosity. RMIT Vietnam Wellbeing and Counselling Service Senior Manager Jacqueline Langton believes that by taking care of our bodies, mind, and spirit, we are in a more positive position to study and work. “We all live busy lives, both staff and students, and it can be hard to find a good balance between working and looking after ourselves,” she said. “We have invited health professionals, healthy eating experts, NGO's that do great supportive work in the community, and some of the service providers and clubs at RMIT Vietnam that provide services that can positively influence our wellbeing. Photo: A participant checks services provided by event sponsor HD Dental Center. Photo: Dr Paul D’Alfonso from Maple Healthcare demonstrates chiropractic pain relief treatment on a staff member. Photo: Students try RMIT Access materials. 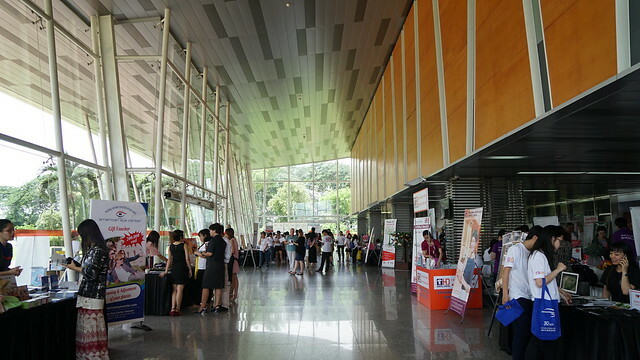 Photo: Wellbeing Day 2016 was held in the foyer of the Recreation and Events Complex. Photo: Staff and students attend a yoga workshop facilitated by instructor Suzanne Vian. 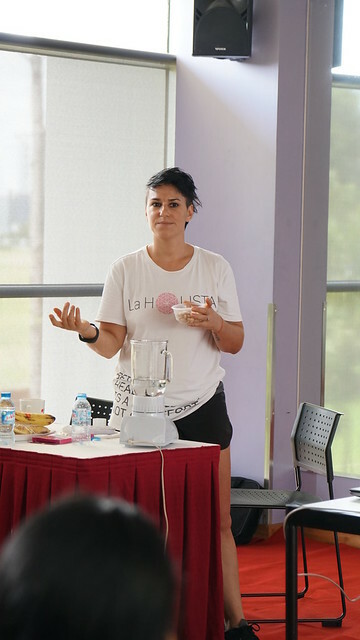 Photo: La Holista founder and CEO Chiara Squinzi shows participants how to make their own healthy food and eat healthily.